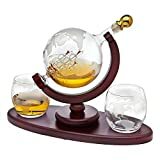 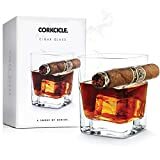 When you find yourself regularly sipping whisk(e)y and smoking a cigar at the same time, then you need to check out this cool new Corkcicle Cigar Glass. 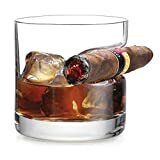 This ingenious rocks glass has a built-in notch to hold a lit cigar so you can sip and puff with ease using one hand and animatedly talk and gesture with your other while mingling or throwing in all your chips. 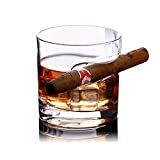 Each glass holds 9 oz of booze and the notch can accommodate up to a 48 gauge cigar. 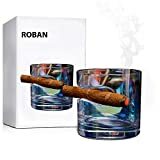 If you like to drink and smoke at the same time, it's kind of a multi-tasker's dream.